Since its formation nearly five billion years ago, our planet has been the sole living world in a vast and silent universe. Now Earth's isolation is coming to an end. Over the past two decades, astronomers have discovered thousands of "exoplanets" orbiting other stars, including some that could be similar to our own world. Studying those distant planets for signs of life will be crucial to understanding life's intricate mysteries right here on Earth. In a firsthand account of this unfolding revolution, Lee Billings draws on interviews with top researchers. He reveals how the search for other Earth-like planets is not only a scientific pursuit but also a reflection of our culture's timeless hopes, dreams, and fears. This is a compelling story of the pioneers seeking the meaning of life in the infinite depths of space. 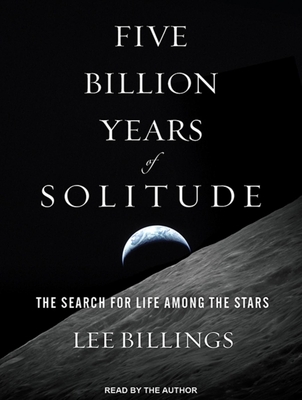 Lee Billings is a science writer whose work has appeared in "Nature," "New Scientist," and "Popular Mechanics," among other publications.